I love good food and I love sharing it with my family. 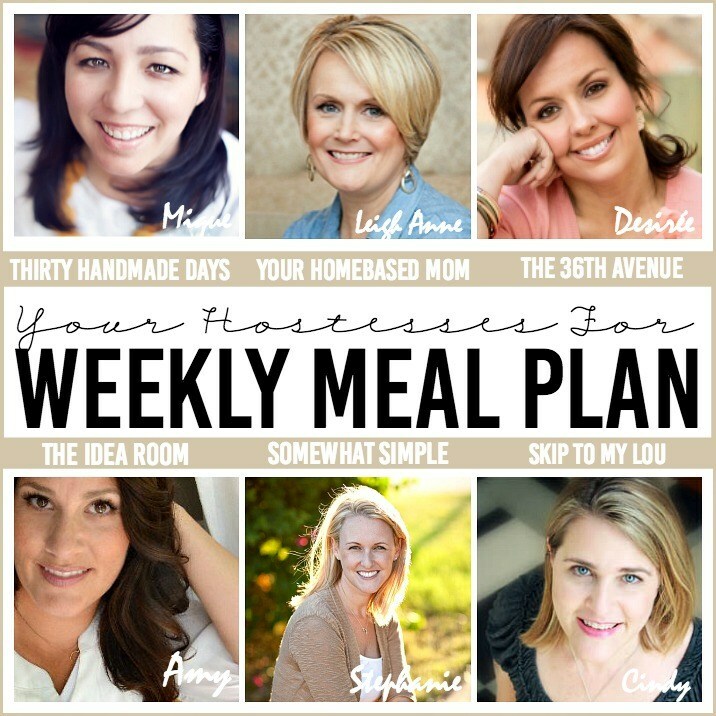 This week we have another delicious Meal Planner for you! 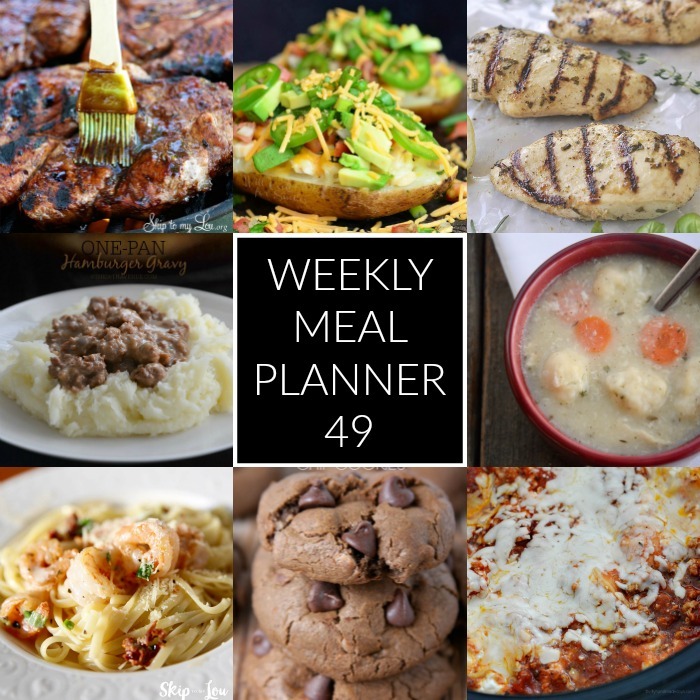 You are going to find on the menu Slow Cooker Lasagna, Fiesta Chicken Baked Potato, Lemon Herb Chicken Marinade, Chicken and Dumplings, Pork Steak and Balsamic BBQ Sauce, One Pan Hamburger Gravy, Creamy Cajun Shrimp Pasta, and Mexican Hot Chocolate Chip Cookies for dessert! Such an easy and delicious recipe! This delicious twice baked potato is stuffed with chicken, cheese, pico de gallo, avocado and jalapeños. 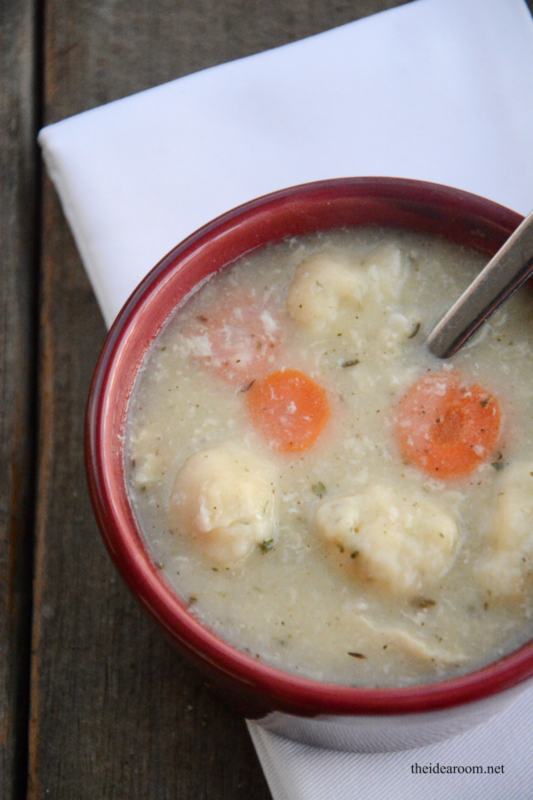 The use of lemon juice and herbs gives it a fresh, light, delicious flavor. A great way to warm up your day! 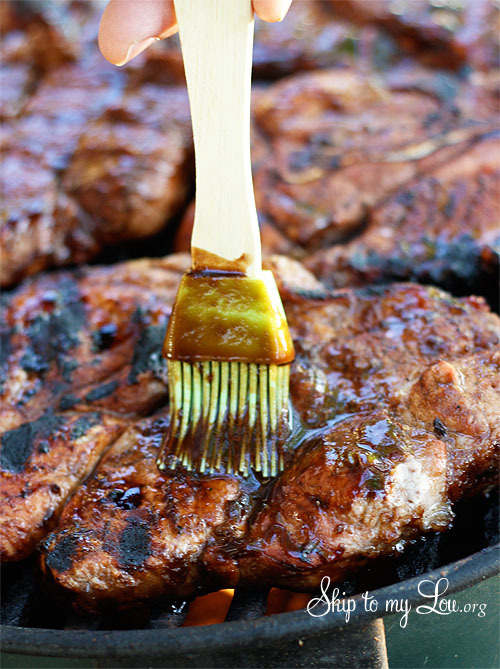 I hope you enjoy this gravy recipe as much as we do! 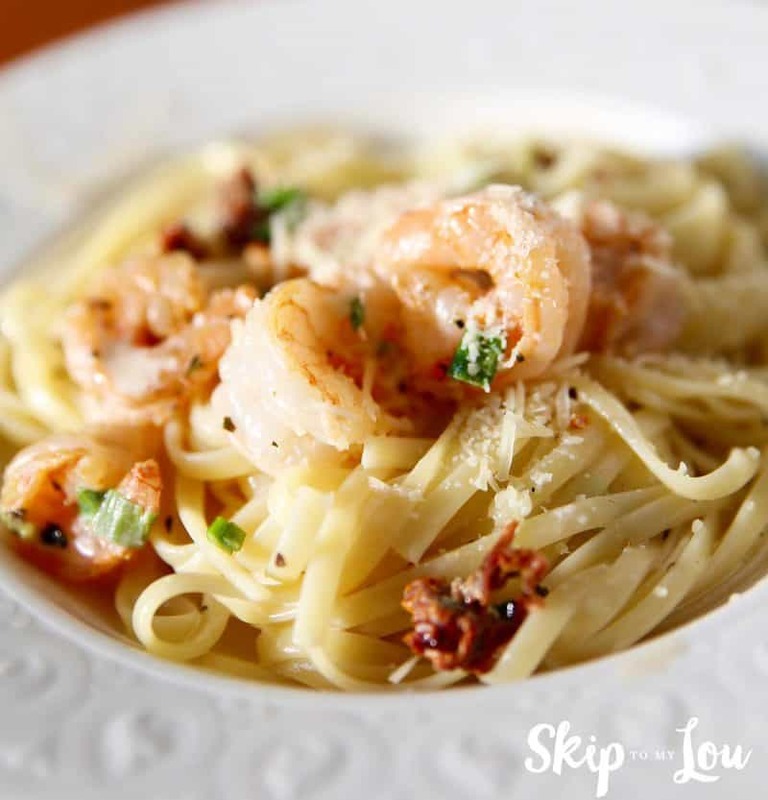 This Creamy Cajun shrimp pasta is really worth making. Soft, warm, and spiced like a delicious mug of Mexican Hot Chocolate.